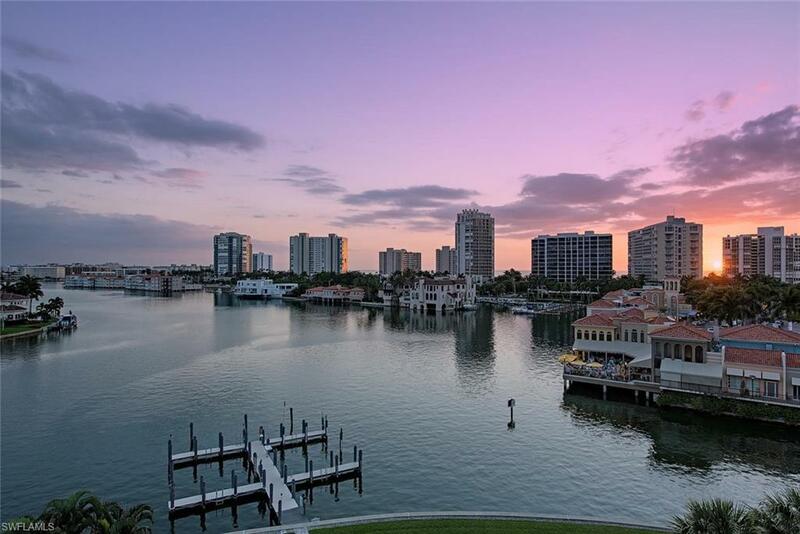 Bask in captivating southwest views of Venetian Bay and sunset views over the Gulf of Mexico from this completely updated sixth floor, end unit in Pelican Point West. 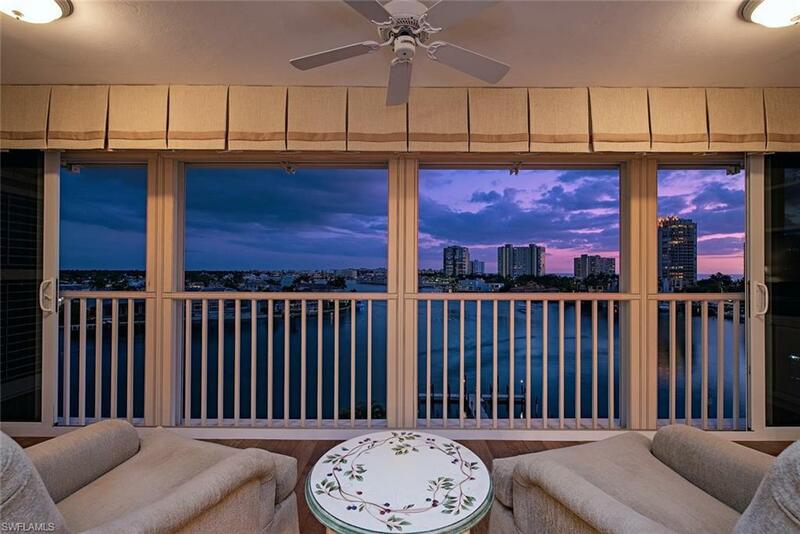 Expansive bay views highlight the open living room with a sun room and a dining area. 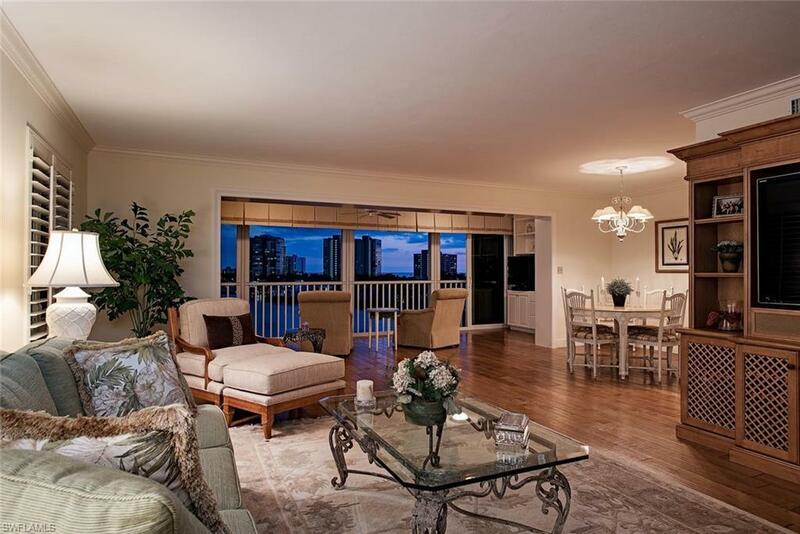 Rich maple flooring, neutral tones and crown molding add to the elegance of the high-quality interior. This unit is protected by impact glass and hurricane shutters with the added convenience of electric blinds. 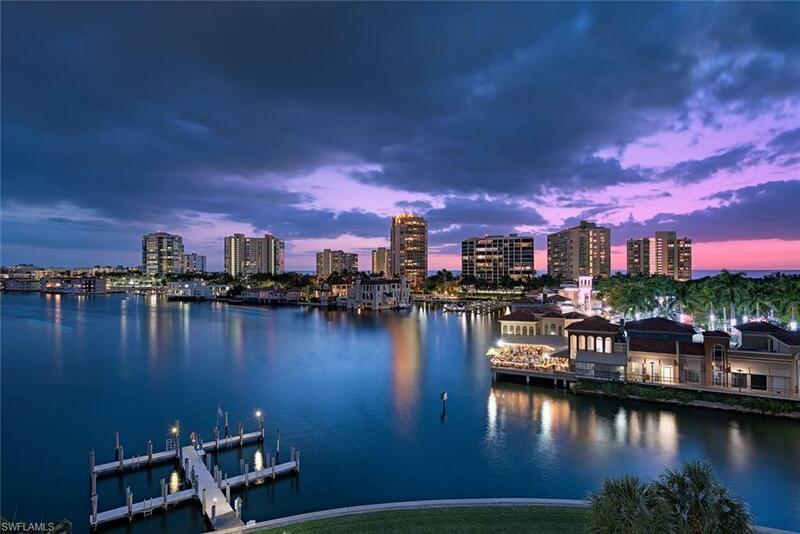 Positioned on exquisite Park Shore Drive just before The Village on Venetian Bay, Pelican Point West offers a prime location for some of Naples finest shopping, dining and entertainment. A short stroll across Gulf Shore Boulevard leads to Park Shores private Beach Club, an exclusive draw for beach lovers.